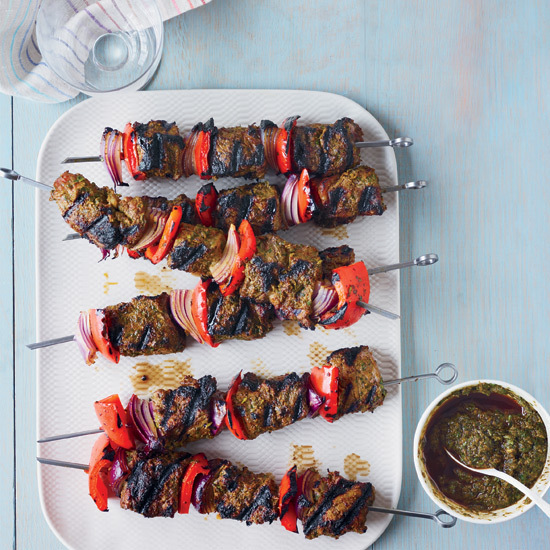 The Big Dish: Well-marbled rib eye steak is perfect for kebabs, because it doesn’t dry out on the grill. 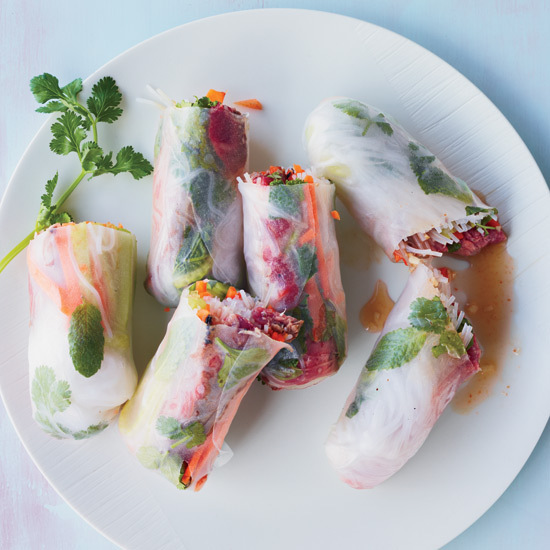 Rib Eye Leftover One: Chilled leftover steak is perfect in these light, vegetable-packed, easy to make rolls. 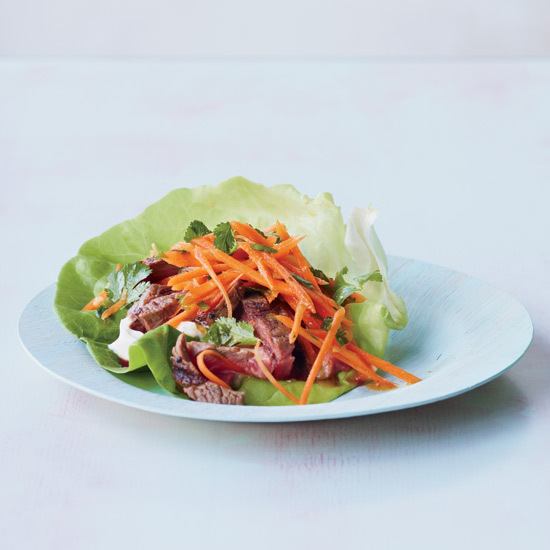 Rib Eye Leftover Two: The rich and luscious sesame sauce is key to these quick Middle Eastern-flavored lettuce cups. 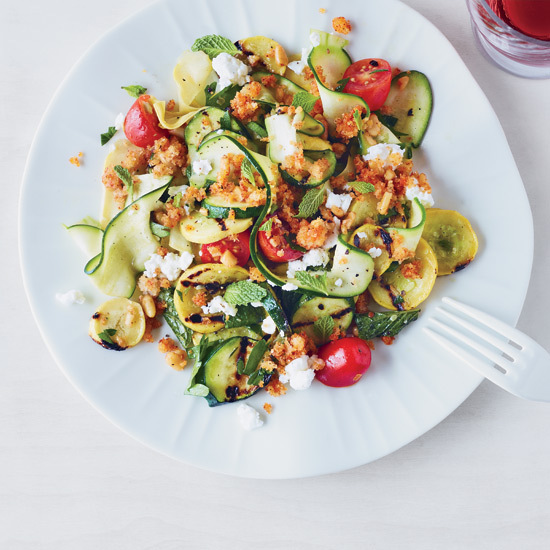 Genius Idea: A savory crumble of pine nuts, chile and garlic makes an easy, trend-forward topping. 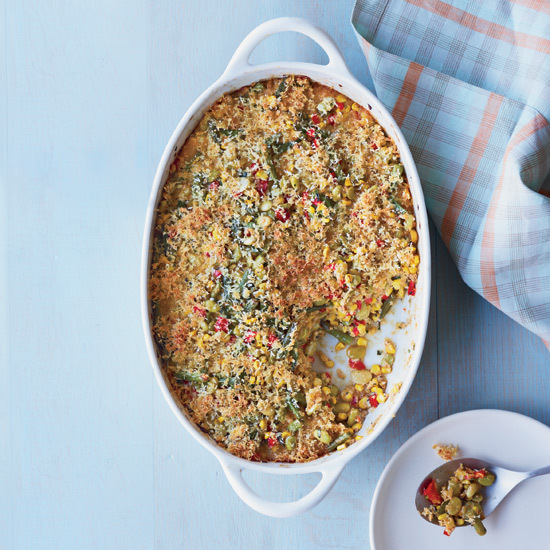 This big baked corn, red pepper, lima and green bean casserole has a crispy, cheesy topping. Aleppo pepper supplies the heat here; or substitute milder ancho. 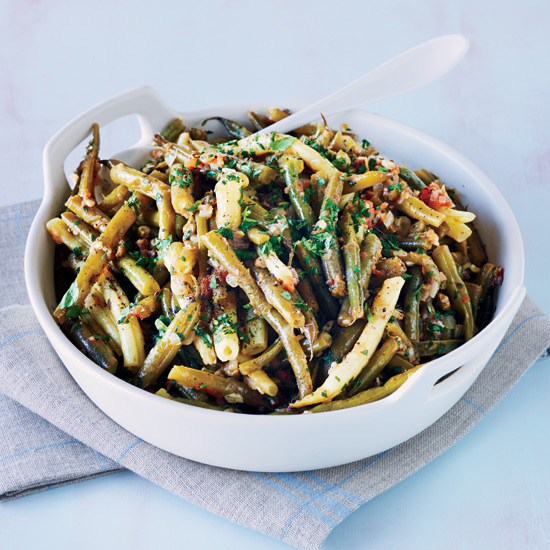 This flavorful long-simmered dish is a nice change from the usual quick sautés, and it’s an especially good method for overgrown beans that can be a little woody. 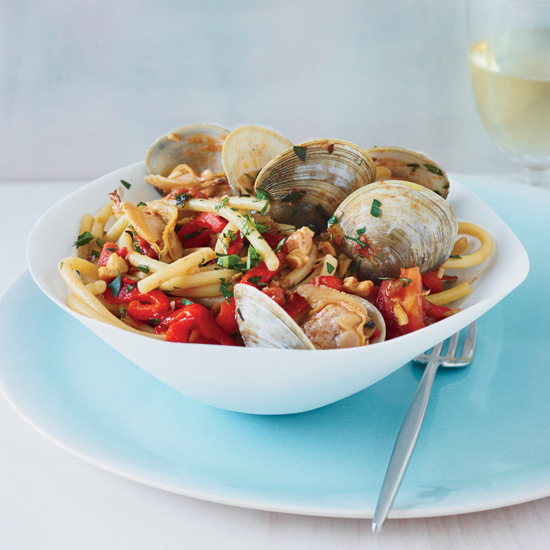 This riff on pasta with clams features strips of sweet roasted pepper, toasted walnuts and fresh herbs along with Middle Eastern flavors like pomegranate molasses and cumin. 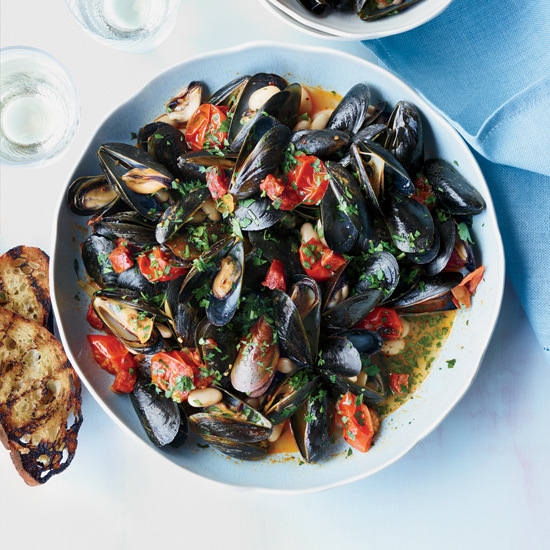 7-Minute Dish: Adding white beans to mussels makes this a hearty, substantial meal; the chorizo here makes it appealingly smoky, too. Genius Idea: Precooked chorizo adds instant smokiness. This tart and super fruity summer dessert cooks mostly on the stovetop, with just a quick finish under the broiler to caramelize the biscuits. 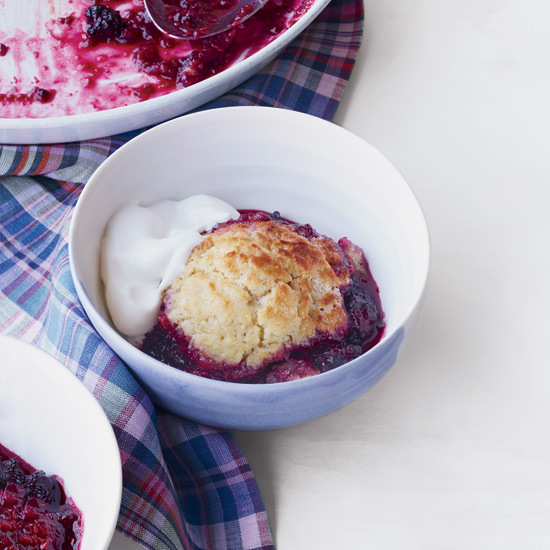 Genius Idea: These tender biscuits bake on the stovetop with the berries. 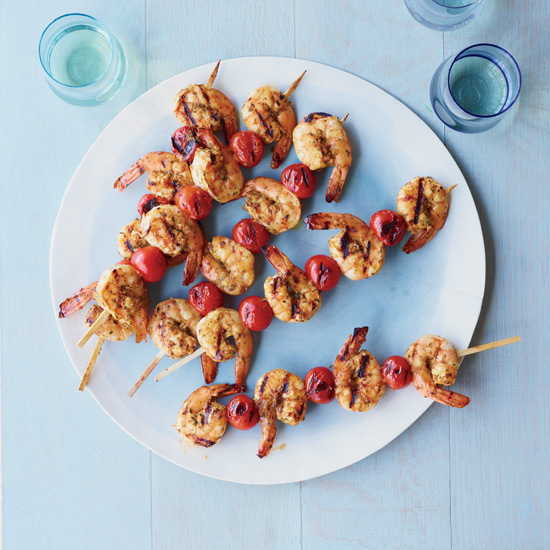 This is a perfect party dish, because it's easy to assemble and you can marinate and skewer the shrimp ahead of time.